The perfect gift for a relative or special friend. 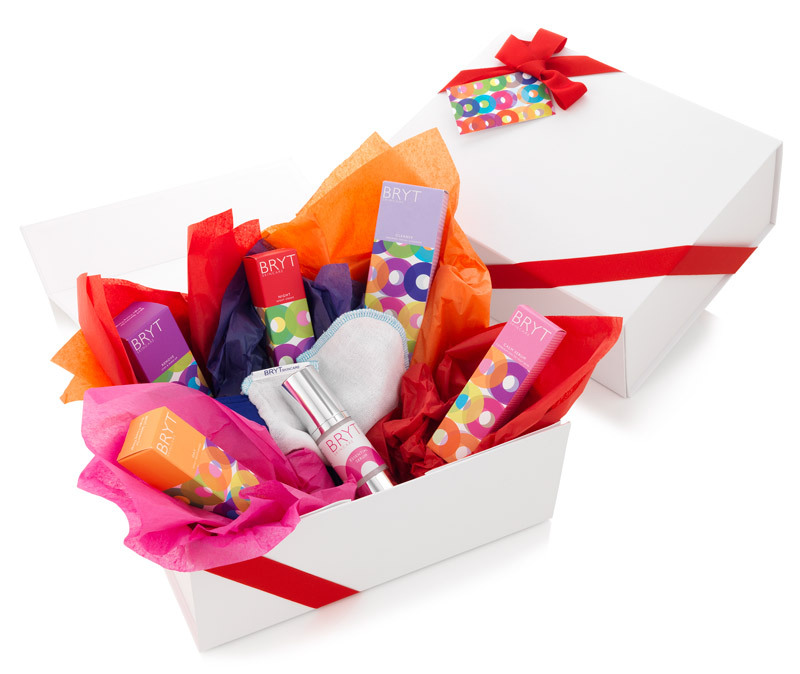 This box contains BRYT Remove, BRYT Cleanse, BRYT Night and BRYT Day, plus BRYT Nourish Serum. Suitable for dry, dull and dehydrated skins, and perfect for mature skin types and those who do a lot of sport and need extra hydration. For an extra £22 we will also include BRYT Boost (tick the box below). Knowing how lovely the Bryt products are I bought this gift box as a birthday present for a friend. It was a lovely package all wrapped in colourful tissue and a ribbon, with a hand written gift card. Needless to say having used the products my friend is now a convert to Bryt Skincare...thank you Bryt yet again for excellent service.